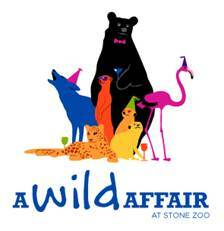 Everyone’s Wild for Stone Zoo’s 2012 A Wild Affair! A Wild Affair is a 21+ “tasting” event that will feature stations hosted by local restaurants and caterers as well as live entertainment, a silent auction, and an opportunity to stroll among the animals. Last year’s event attracted more than 600 guests, and this year promises to be even bigger! Proceeds from A Wild Affair support the operation and continued growth of Stone Zoo, including its education programs and conservation initiatives. Attendees can bid on an array of fabulous auction items, including a deep sea fishing excursion with Gauron Fisheries, a three-night stay at Newstead Belmont Hills Golf Resort & Spa in Bermuda, a weekend getaway to Poland Springs Resort in Maine, a pool party at Jillian’s/Lucky Strike Boston, ski tickets, and beauty packages. Participating restaurants include The Capital Grille, Legal Sea Foods, On The Border, Bertucci’s, Buffalo Wild Wings, Fuddruckers, and many more. *Please note that Stone Zoo will close at 1:00 p.m. on Saturday, June 23 in preparation for event. 0 Response to "A Wild Affair 2012 - 6/23"
1000 Words: Congrats, Jon Parsons!